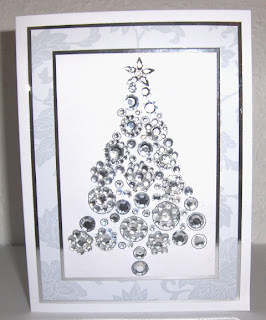 My favourite craft shop Bee Crafty are giving away FREE Bubble Christmas Tree digi stamp this week. I downloaded it yesterday and have made three Christmas cards with it already. The first one was made by using up some of my non-adhesive clear gems. 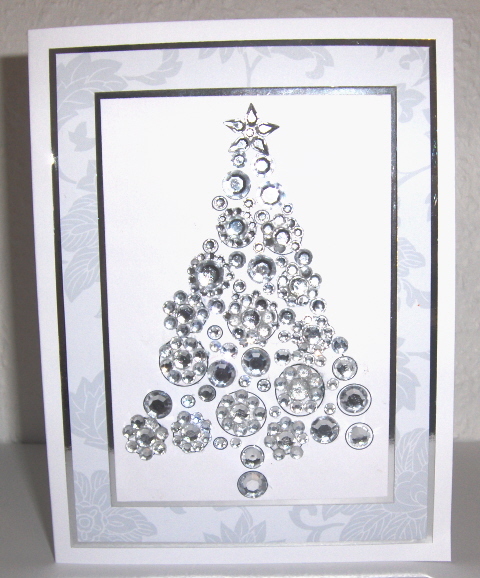 I simply glued the gems onto the image and then matted and layered it onto some silver mirror card and co-ordinating card stock from my stash. For the third card I wanted to keep things really simple, so I just coloured in the bubbles with my Promarkers. 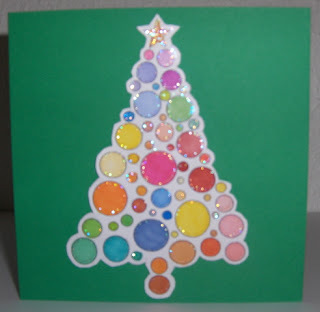 I then added a little Stickles glitter (in Stardust) around the edge of each bubble. Once again I carefully cut around the image and matted it onto a green card. Make it fancy or keep it simple, I think this image is really versatile. If you have children who enjoy crafting, why not print off a few images for them to colour in and make their own Christmas cards. The digi image will only be there for one week - so use it or lose it! lol. 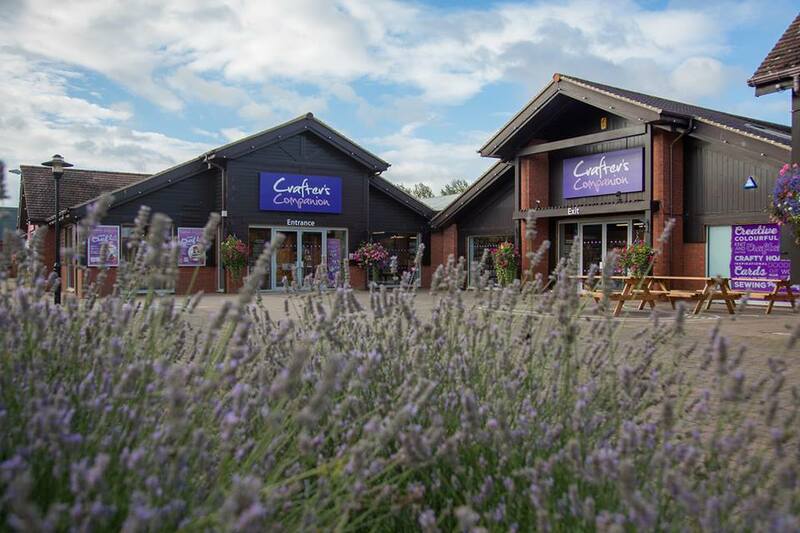 Just click on the Bee Crafty image on my blog and it will take you to their website/on-line shop. Happy Crafting. One digi stamp and three completely different cards - they are all lovely Debz.